I have no idea what number Link Party this is, but it's gotta be around 52! Ya'll have given my readers a fun Tuesday to look forward to each and every week! Thanks so much for sharing all your wonderful trash to treasure projects here on the Korner!! by liking Amber Yanovich Photography and "liking" my photo! Signs by Andrea. 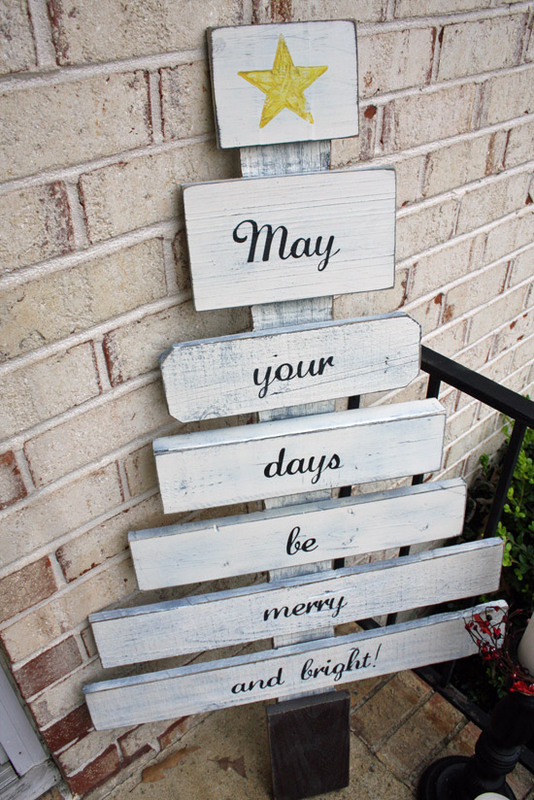 She made this SUPER CUTE Christmas tree out of scrap wood to greet the visitors coming to her door. Love it. 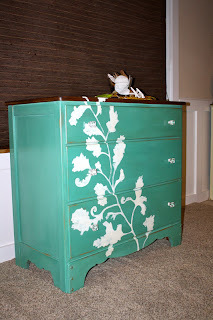 I drooled on my keyboard when first checking out this awesome dresser makeover. Just gorgeous, Beth from Make Me Pretty Again! You did just that - made her pretty again! And last but NOT least, Spittin' Toad will make you go "awwwww" with this adorable little dresser!Let's see what you've got!! Thanks for hosting, Kammy! Happy Thanksgiving! It's party time! Thanks, Kammy! Your picture is so precious, voted and hope you win!!! First that picture is hauntingly familiar. I have twin sisters and remember those days. In fact, those days still go on. Second thanks for the party. P.S. I voted for your photo. Thanks for the feature and for Hosting...What a great Party! !